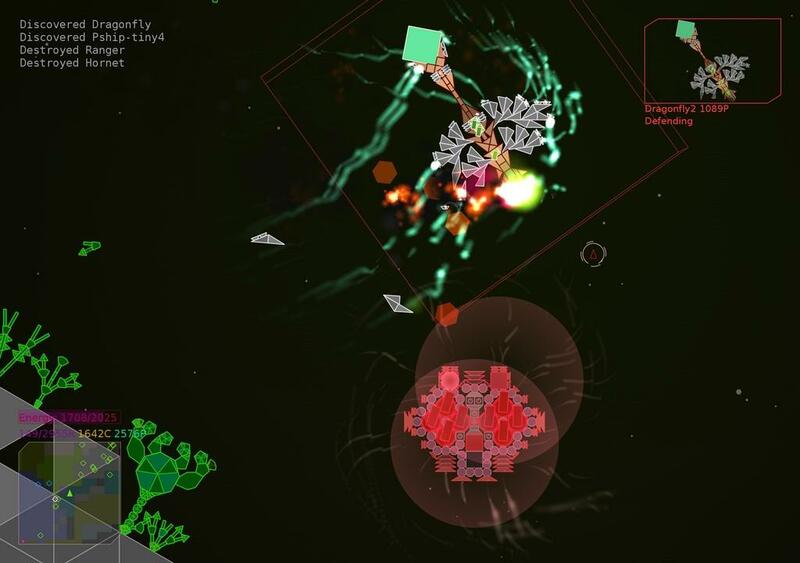 About a month ago, I told you about a build-your-own spaceship game called Gamma Void from Anisoptera Games. I'm not sure if they changed the name, or if my research at the time was lacking, but as I was writing this I found that the game is now called Reassembly. They were kind enough to provide me with an alpha of their game before their Kickstarter campaign launches in September, and in short—I can't wait for this game to be completed. The big draw to Reassembly is the complete creative control you have over your fleet of ships. You have a catalog that can hold up to 50 different schematics, and when you start your game, seven of the slots are occupied by premade ships, ranging from a snub-nosed fighter to a sprawling mothership. The premade ships are diverse enough to give you a good idea of you can do with the ship builder. Honestly, I'd recommend playing around with them and figuring out how they work before building your own ship from scratch, because there wasn't much in the way of a tutorial for it. But it wasn't long before I had the basics of the game down and I was building my own Space Navy. The ship creator is a LEGO-style drag-and-drop interface that's extremely easy to understand and use. Making your ship faster is as easy as stacking multiple boosters on top of each other, and finding out what a weapon does is as easy as throwing it on the side of your ship and taking it out for a test drive. The first ship I made was a dinky little thing with four rail guns added to the front. The recoil from the shots was so severe that I had to be diving full force at my target just to keep them in range. It had almost no turn radius because I didn't think about adding enough side-boosters on the hull. It was an unwieldy blunderbuss and I absolutely loved it. When I actually managed to hit something, I decimated it. I eventually figured out how to rearrange the weapons and boosters to make it more mobile and precise, and once the novelty of it wore off, I moved on to my next ship. I eventually forgot about my little creation until it was time to rally up the troops for a big boss fight. I flew up to a space station and found that the A.I. had been spawning my blunderbuss ships along with the pre-made ships that were already in my catalog. It was pretty cool to fly into battle controlling a fleet of ships that I designed. Ship parts come in four shapes: triangular, square, rectangular, and octagonal. As you build your ships, you need to keep in mind that you want to have as many redundancies in your hull and defense systems as possible, because combat in Reassembly doesn't involve pecking away at a health meter. The object is to tear off parts of your enemy's ships until you can land a hit on their command center, which will instantly kill them. As you construct your hull, you'll find yourself using multiple triangles instead of full squares, just to add more of a buffer to your soft, squishy center. As all of your bits get blown off in combat, you can mitigate the damage in two ways: you can try to get away from the fray long enough for your parts to regenerate, or you can drive within tractor-beam range of your old parts to instantly reattach them. As I played, I was only ever able to collect the pieces of my own ships, but after almost every large battle my forces would have weapons that were blown off of enemy ships attached to their vessels. Which made me wonder for a second if I was playing the part of the Borg Collective. I really enjoy the way combat is handled in Reassembly. It encourages you to consider the design of your enemy's ships to look for a weak point, and approaching them in a way that gives you the upper hand; although there's also something to be said for the strategy of just adding more guns to your ship. The A.I. is also incredibly intelligent. Your allies will prioritize the ships you are targeting, but will break off into their own dogfights as necessary. Your enemies will usually leave you alone until you present yourself as a threat, but once you rouse them, they are very good at organizing themselves to annihilate you. If you harass them too much, they might even find one of your space stations and destroy it. As you fly around space, exploring asteroids and blowing up enemy ships, you'll collect resources in the form of purple and blue dots. As your ships get better weapons and bigger in size, it will cost more resources to spawn them. The shipbuilder will inform you when you've gone over your budget, but it won't stop you from adding parts. You can build as big as you want right off the bat—the only caveat is that if you go too far over your current resource budget, you'll have to go out and collect more resources until you have enough to build your new badass warship. Even though you'll be spending a good amount of your time building your ships, the most effective combat strategy isn't building the biggest, baddest ship you can imagine. It's building an armada of smaller ships to overwhelm your enemies. The easiest way to build your space navy is to attach a factory to your ship and spawn them yourself—and this is where the resources you collect really come into play. Your ship can only hold as many resources as it costs to spawn it. So if you build a hulking mothership that costs 2,000 and have it manufacturing child ships that cost 200 each, your mothership can hold a maximum of 2,000 resources, and when you've collected at least 200 you can start spawning child ships out of your factory. I love how loose and freeform Reassembly is, but I hope Anisoptera plans on adding more content in the way of missions, objectives, and story. It's fun to fly around space and blow stuff up in the name of resource acquisition and all, but after a few hours you start to wonder if this is all there is. I also really wish I had the ability to name my ships. That's a pretty simple thing, so I hope that they at least add a little nameplate to them in the future. There's definitely room to grow, but I see the seeds of greatness in the alpha I played with. 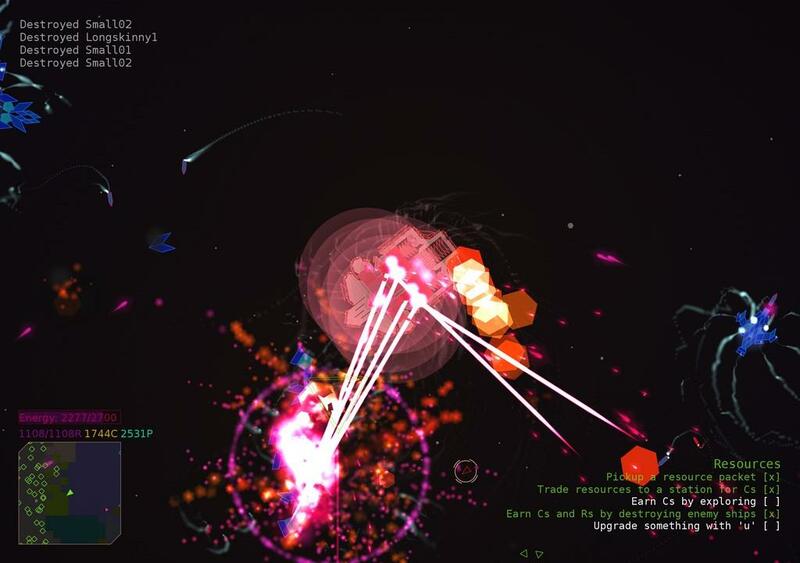 Reassembly is going to be huge, and it's going to be awesome. They're launching a Kickstarter this September, so if you like space simulators, or even just LEGOs, you should seriously consider buying into it.